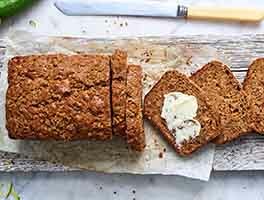 You can either make this gingerbread as a loaf or muffins. Either way, the orange glaze adds the perfect finishing touch! 18 mins. to 55 mins. 33 mins. to 1 hrs 10 mins. Preheat your oven to 350°F. Grease two 8 1/2" x 4 1/2" loaf pans for loaves; if you're making muffins, grease 24 muffin cups, or line them with muffin papers. Add the flour, baking powder, baking soda, salt, spices, ginger, and nuts or chips, if you're using them. Mix well — the batter will look crumbly. Bake the muffins for 18 to 20 minutes, or until they're lightly browned on the edges and the middle springs back when touched. Bake the loaves for 50 to 55 minutes, or until a cake tester inserted in the center comes out clean. 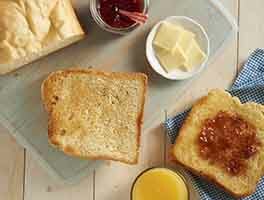 For a shiny finish, brush the glaze over the bread or muffins while they're still warm; for a thick white finish, cool the bread completely before glazing. Delicious! The combo of pumpkin, diced ginger and orange was unexpectedly wonderful. Making this for the second time. This will be on my favorites list. I really love this recipe! For half of the flour I used oat flour. I used ginger paste and ground ginger. Baked in mini loaf pans. This is my new favorite bread recipe. Absolutely delicious! Fabulous, velvety soft texture. Loved by all. I've made it in loaf form and in muffins. For the muffins, I made a struesel to put on them. Wonderful touch! They looked like they came from a bakery! Used ginger and cinnamon chips and followed recipe exactly! Highly recommend! I loved this recipe! All of my favorite flavors! This was great with or without the icing. I used grated ginger for the ginger, white whole wheat flour for the flour and applesauce for the butter. Delicious! Kids loved them too. I had a great rise in my muffins - but I filled the muffin tin a little more than 3/4 full. Those muffins were the tallest. I followed the recipe as written without any of the add ins (no nuts, chips, or glaze) to get a feel for taste and texture. 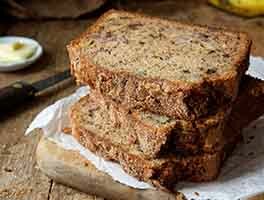 The spice blend is wonderful and the texture is a moist tea bread. The texture would be more muffin than cupcake. Raisins would be a nice add in and I will probably try that next time. 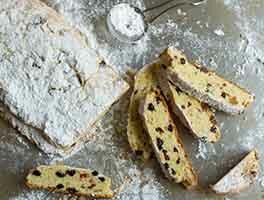 I have made this recipe several times and everyone loves it. I have made a few tweaks. Instead of adding the optional nuts or chocolate chips, I added dried, sweetened cranberries. I have found that, probably because the cranberries are dried, the batter needs more moisture. So I added around a half cup of milk to the batter (I didn't measure it, but in that ballpark). The bread keeps well in the freezer. My mom just served a loaf I made that had been in her freezer for a year and she said it was great and everyone enjoyed it, and some people even asked for the recipe. 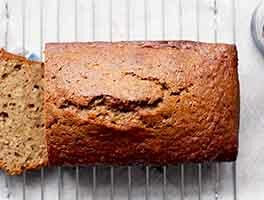 This pumpkin gingerbread loaf is seriously delicious! Not too sweet, not too heavy on the spices or molasses - in fact, it could take a little more. The moistness and texture are fabulous! This is going to be a regular item in the fall - I always can canned pumpkin around and need to use it up! A winner! This recipe is a keeper! I was able to tweak it just a bit for a slightly healthier version and it turned out great! I doubled the recipe and did half with toasted pecans (2 loaves) and half with mini chocolate chips (muffins). I used orange juice instead of water in the glaze(more than the recipe called for to get the right consistency) and added the zest from 2 clementines. The glaze was very tasty, but I think the bread is just as good without it. For the bread, I substituted whole wheat pastry flour (1:1), used coconut sugar instead of brown sugar and coconut oil instead of butter. I also cut the crystallized ginger down by at least half and chopped it as tiny as I could. I don't think my husband or myself would have liked any more of the ginger in there. Perhaps ground ginger would be the way to go for us, though I do like how it turned out using the crystallized ginger, in smaller amount. Oh yes and I also added just a little butter pecan flavoring, tho not sure it made much difference. I had just cooked/pureed a leftover Thanksgiving pumpkin and this was a great way to use some of it. Will definitely be making this again! This is a wonderfully moist bread. I made these in mini loaf pans (3 1/2" x 1 1/2"). I like to make mini loaves of quick bread and then give an assortment of breads as a gift. I used pecans in my recipe but did not use chocolate chips. I also used chopped candied ginger. I wasn't sure if the recipe called for fresh ginger or candied ginger. I think either is fine. The orange glaze is a must. It really adds a good deal of flavor to the bread. Besides, it makes it look festive. I made the recipe last night and chose to make it into muffins. They were wonderful and my co-workers thought they were great too!! I would agree that this batter does not rise much and is very dense. I filled the muffins liners up to 3/4 full and shaped the tops which helped get a nice muffin top. I got 22 muffins out of the recipe listed and used chopped pecans. 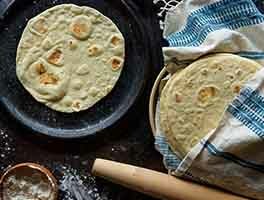 Defiantly recommend this recipe everyone! !